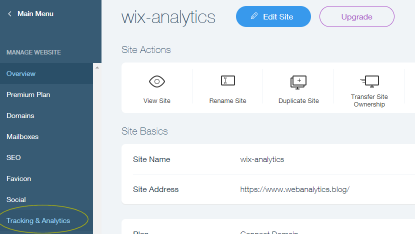 Real-Time Analytics for Wix Website. 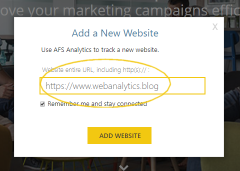 AFS Analytics provides real-time analytics for Wix Website with premium plan. 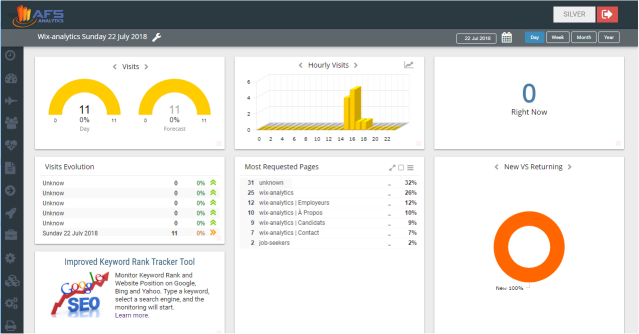 Measure your website traffic and analyze your users’ behavior. Understand how they interact on your website: clicks, videos, downloads, windows, time spent to fill forms, navigation, etc.. Check and monitor your organic keywords ranking in Google. 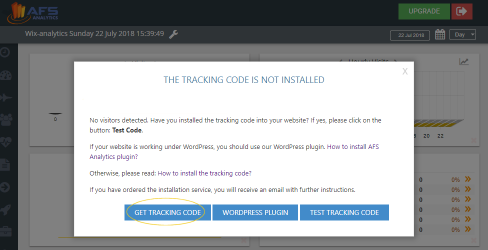 Below is a step by step guide on how to install the tracking code snippet and get powerful analytics.js library on your Wix website within five minutes. 2. Add your first website by typing its URL and click on ADD Website button. Each website you add, you will get a unique website ID. 1. Log in on AFS Analytics. 2. A box is displayed on the dashboard. Click on Get tracking code button. 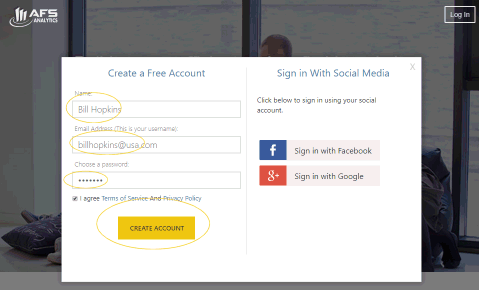 If the box is not displayed, select the option: Account -> This Website -> Tracking code on the left menu. 3. A new box is displayed. Click on Get the Wix tracking code” link. 4. 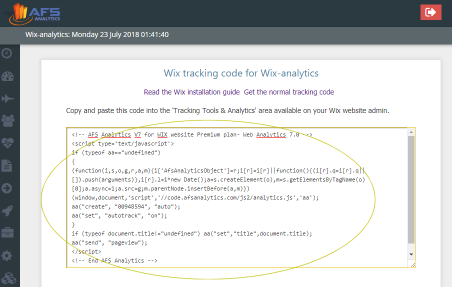 The analytics snippet code for your Wix website is now displayed. Copy the code. 5. Login on your Wix account. On my sites page, click on Manage & edit site button dedicated of the website you want to track. 6. On the menu dedicated to the website, select the option Tracking & Analytics. 7. 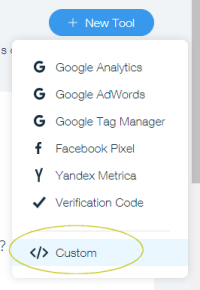 On the tracking & analytics page, click on new tool button and select the option custom. 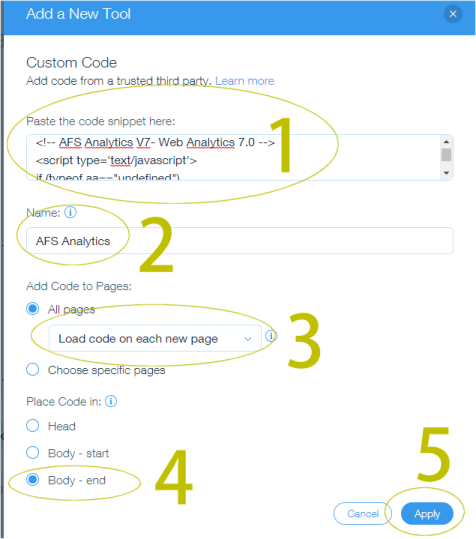 8.1 Paste the AFS tracking code into the field: Paste the code snippet here. 8.2 Type AFS Analytics into the field Name. 8.3 Select all pages and the option Load code on each new page into Add code to page area. 8.4 Check the box Body-End on the Place code in area. 8.5 Save the changes by clicking the button Apply. 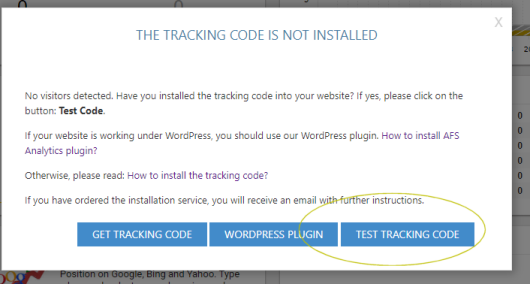 Click on Test tracking code button or go to Check tracking code tool. The AFS Analytics is now installed. You should see the first visitors.